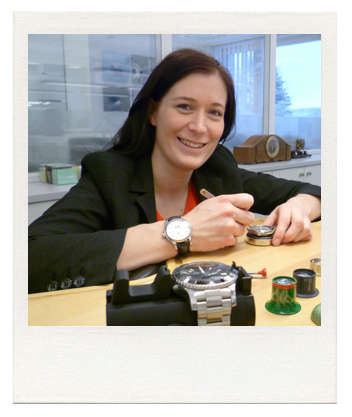 I would like to talk today about our watchmaker training. What makes it so unique at Wempe? What will you be able to experience in our company? You will then have the first timepieces on your workbench after some weeks. You will learn everything you need to repair a clock. You will get acquainted with the different types of clocks and their history. After only seven to eight months, another exciting part of the training begins: watches. At the beginning, I will show you the construction of the hand-wound movement ETA 6498, which we also use in our Wempe Zeitmeister Hand-Wound watches. You are going to learn how to assemble and lubricate these movements, how to make the different settings and adjustments, how to set the hands, how to encase the movement into the watch case and many techniques more, which you will need for a high-quality repair. It is always important for me that all the work is carried out in excellent quality, that there is enough time to get experienced in a task and that you will continuously get better until you will reach perfection. There is always a trainer at your side to support you with his knowledge and experience and to give you valuable hints. In the course of the training, we will deal with a great variety of watches and movements. We will repair different hand-wound and self-winding watches, GMT and world time watches, chronographs and quartz watches from our own collection. As a general rule, you will not only get to know one brand during the training, but you will gain a broad knowledge about watches from many different brands. For this purpose, every trainee becomes ambassador of one specific brand and informs the other trainees regularly about its specialties or new models. This is always backed up by corresponding trainings on the different brands or even a visit to their manufacture. 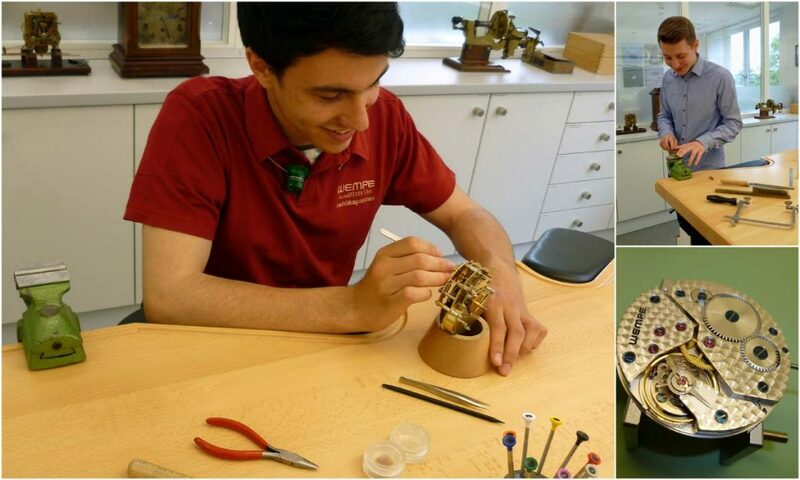 During internal work placements you will get to know some high-end watch brands, such as Rolex, Patek Philippe and A. Lange und Söhne. At the end of the first year of training and in the two following years, you will work in one of our German branches for two to three weeks and will get a deep insight into the exciting world of a service watchmaker. You will counsel our customers at the side of an experienced master watchmaker, carry out small repairs and discover new watch models. In the second and third year of training, you will get to know besides further branches as well as our service workshop and production site.